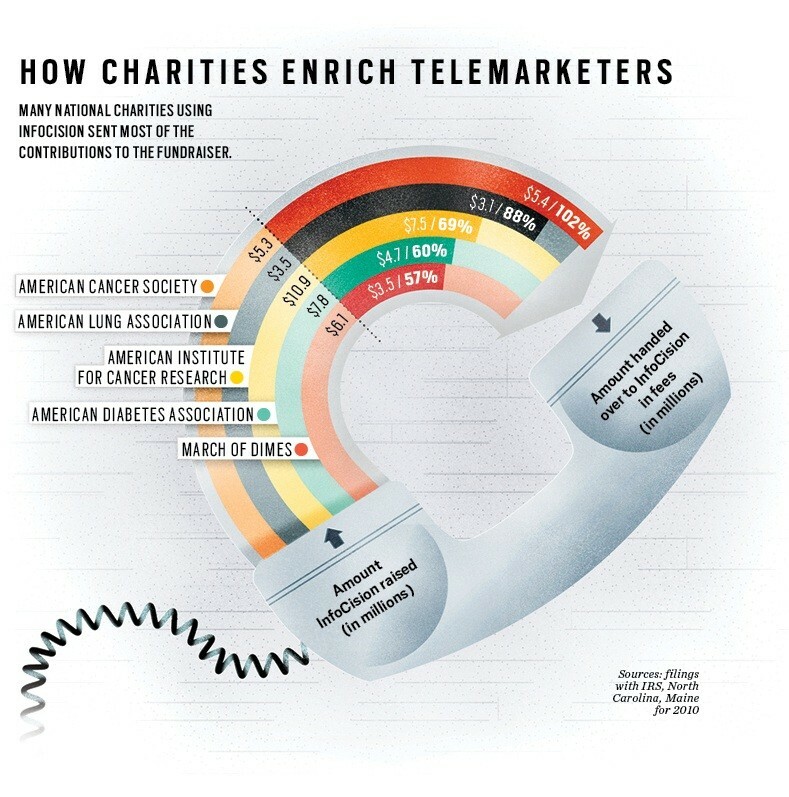 A telemarketing company that solicits donations for several big-name charities is keeping most of the money raised and systematically lying about it to the public, according to a new investigation by Bloomberg Markets Magazine. InfoCision instructs its employees to say, when asked, that at least 70 percent of the money that they raise for the American Cancer Society and American Diabetes Association will go toward charity, Bloomberg Markets Magazine reports. But these charities, which approved the telemarketing scripts, had agreed to give InfoCision more than half of the money raised. 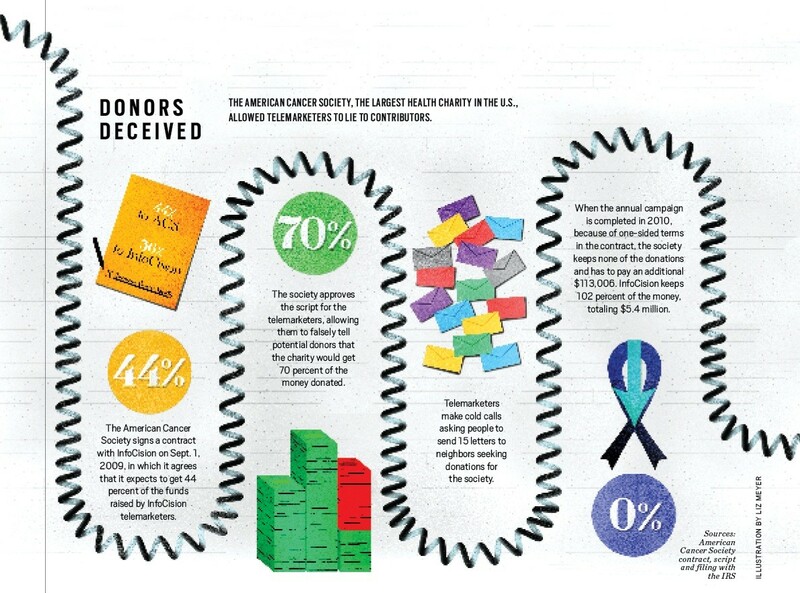 In fact, InfoCision kept all of the donation money that it raised on behalf of the American Cancer Society in 2010, according to Bloomberg Markets Magazine. InfoCision also kept 78 percent of the donation money that it collected last year in its nationwide neighbor-to-neighbor program on behalf of the American Diabetes Association. You can read Bloomberg Markets Magazine's full investigation here. The U.S. is the most charitable country in the world, according to the Charities Aid Foundation's World Giving Index. Americans gave nearly $300 billion to charity last year, according to a recent report by Indiana University's Center on Philanthropy. Americans generally trust nonprofits more than corporations or the government, and 71 percent think nonprofits will better address pressing problems, according to a 2010 survey by American Express.